Oh, Nutter The Cat. My family happily joke about Nutter’s old age and how he will outlive us all! I rescued Nutter in 2002, and he was estimated to be about three years old then. Nutter’s vet at the time said he had a heart murmur and issues with his back patellas, and that he would likely have a short life. That was 16 years ago, bringing Nutter to the ripe old age of at least 19! I’ve since left that vet, and had Nutter’s one patella fixed (the second one was not recommended). He’s on a raw and fresh home-cooked diet, and lives quite the charmed life. I’ve occasionally provided Nutter with natural joint supplements for cats, but nothing regular. To be honest, I’m not sure why—maybe it’s because Nutter is thriving and doesn’t seem to be slowing down. However, I’m an advocate of proactive pet care, and I’ve felt a bit guilty about not giving Nutter something to help combat aging symptoms. 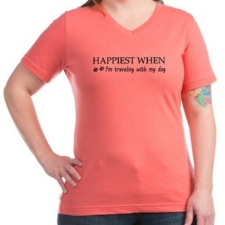 I decided it was time to look for a great brand and product to give Nutter to help keep him frisky and happy. 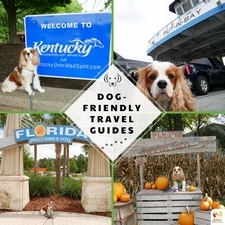 While searching for a natural brand, I found NHV Natural Pet Products. 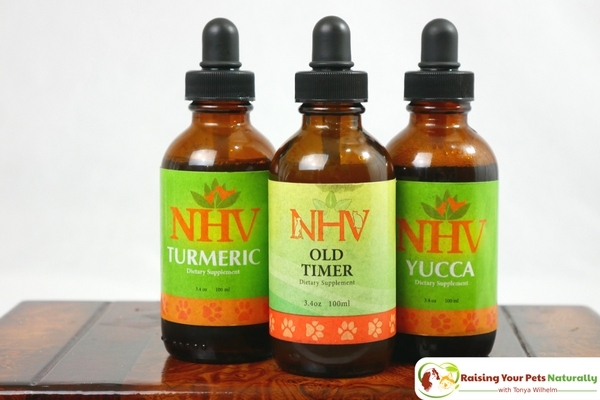 NHV Natural Pet Products provides vet-formulated herbal solutions designed to promote health and stimulate healing. All their products and supplements are made with 100% natural ingredients and are formulated by a master herbalist and a holistic veterinarian with more than 20 years’ experience developing plant-based remedies. They are free of additives and preservatives, and made with the finest organically-grown or ethically-harvested herbs. Their products are also tested by a third-party lab. 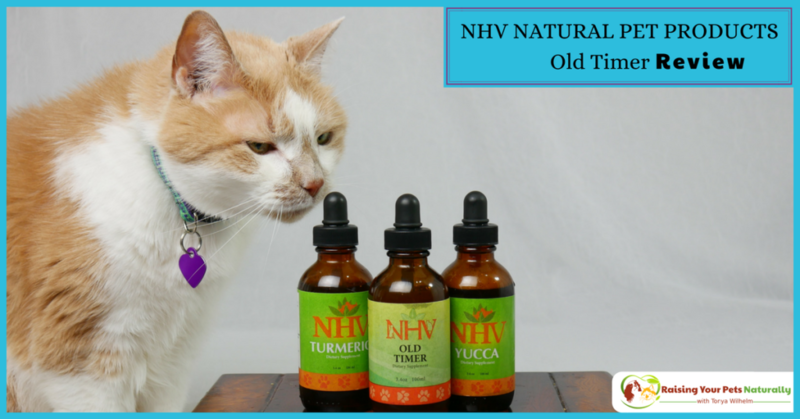 I reached out to NHV Natural Pet Products for a recommendation on what they would suggest for my senior cat. We decided NHV’s Joint Problems Kit 2 would be a great addition to Nutter’s daily care. This natural cat supplement kit contains three formulas to help alleviate arthritic discomfort, aid digestion, stimulate appetite, and support general well-being. Old Timer is an herbal blend that helps to soothe inflammation and joint pain. The herbals help with arthritis symptoms; boost the immune system; and provide antioxidants, vitamins, amino acids, and minerals. Old Timer Ingredients: Guggul, Asian ginseng, ginger, astragalus, alfalfa, cayenne, purified water, and glycerin. Yucca For Cats is an herb that is full of nutrients. It’s rich in vitamin C, beta-carotene, B-vitamins, magnesium, iron, calcium, manganese, protein, niacin, and phosphorus. Yucca contains sarasapogenin and smilagenin, which help with mineral and vitamin absorption. Yucca Ingredients: Yucca, purified water, and glycerin. 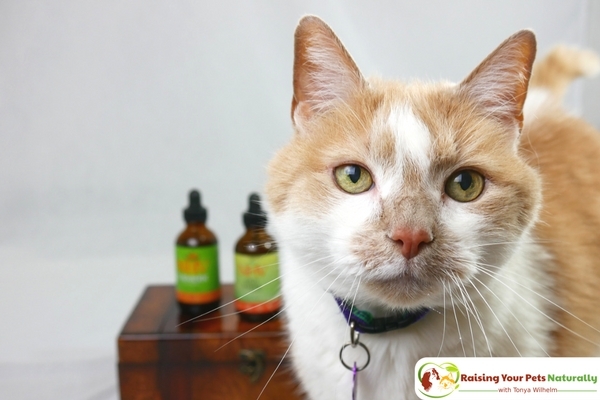 Turmeric For Cats is another wonderful natural herbal supplement that can aid in a cat’s overall health and vitality. Turmeric has been used for centuries, and is considered to be a super food for us and our pets. Turmeric is an excellent anti-inflammatory, antioxidant, antifungal, antibacterial, and so much more. Turmeric Ingredients: Turmeric, black pepper, purified water, and glycerin. It’s pretty easy to administer. Twice a day, shake and put the drops into his food and stir. Nutter gobbled up his food without any issues for about four days. Then, he didn’t want to eat his breakfast serving. It ended up not being the supplement, but Nutter’s food rotation—he wasn’t in the mood for chicken. Once I went back to his beef formula, he gobbled it back up. Silly kitty. However, we know cats can be tricky to medicate at times. If this is the case, after your cat has eaten, you can administer your cat’s supplement directly into his mouth with the dropper provided. Or you can place tasty food toppers on his food and supplement to encourage eating. 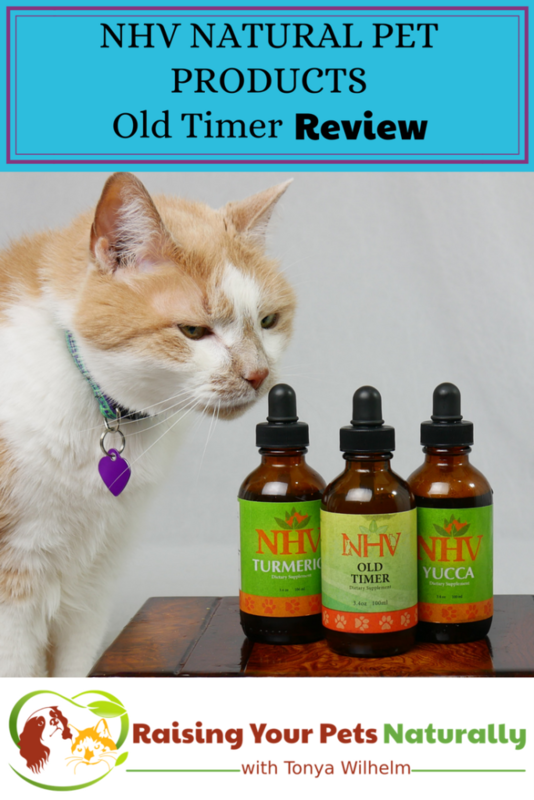 I am completely happy with the quality of NHV’s products, and will continue to provide this remedy for Nutter to help him age gracefully. 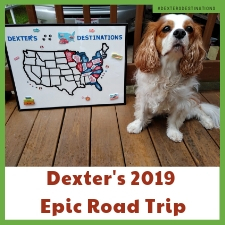 I think it’s important to help my pets live life to the fullest and healthiest, and I take proactive steps with their health care. This should have included a product line for joints a long time ago. 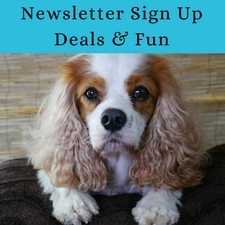 I encourage you to do the same and visit NHV Natural Pet Products. 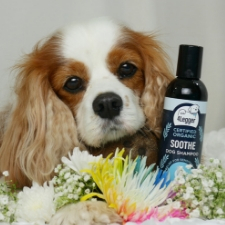 They offer a wide range of natural pet products and are absolutely amazing to work with. Tell them Nutter sent you! Do you have a senior pet? Tell me in the comments.